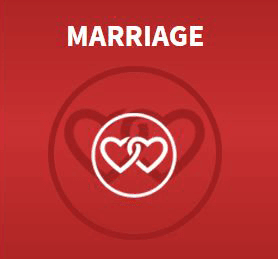 MARRIAGE – Eighty five percent of the couples we’ve tested were in what we refer to as a mismatched or XY Relationship. One widow who had been married for 49 years, admitted that had she known about XY Theory before marriage and applied the simple principles, she would have saved herself about 48 years of marital conflict. 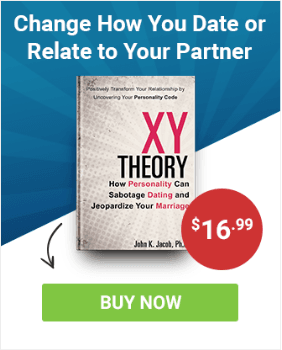 XY Theory is about relationship needs and a relationship personality that determines needs that most of us are unaware of. Using our science, we can predict problems in a marriage long before they even occur and we can tell couples what they need to do specifically to avoid relationship ending conflict. Basically, we can now help couples identify the “blind spots” in their relationships. We discovered that a couple’s personality difference was the primary hindrance to bonding and resolving conflict. We teach that it’s not one person’s fault, but personality differences that are causing conflict in the relationship. Through our 12-step Relationship Management System, couples learn how to meet their partner’s needs by first understanding what their own needs are in the relationship. Once this is understood, couples can focus on mastering those needs to facilitate the hormone, Oxytocin that produces bonding in the relationship. The focus is not about changing your core being, but simply making minor adjustments for maintaining a strong and harmonious relationship. Remember when you first dated? Well, you fell in love not with the person you’re now with relationally, but with their fun loving, romantic, caring representative in a social setting, stuck in “play” mode. Hormones helped you to fall for this person, but without the serious considerations of work and family matters. We can help you rediscover this person and reset your relationship to increase your satisfaction and enjoyment. You can begin today to learn exactly what you and your partner need, to enjoy the married life you deserve. 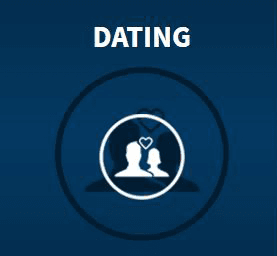 DATING INTELLIGENCE™ – XY Theory allows individuals to determine how well matched they are, even before going on the first date. As such, matching personalities saves singles time and often disappointment from entering a potentially messy relationship. 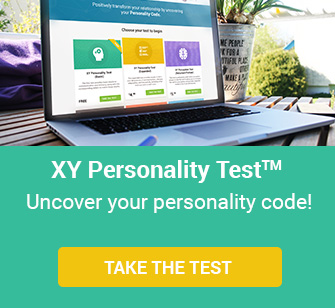 The XY Personality Test™ is the only test of its kind that measures the relational personality and not the social, as other test instruments do. In other words, we can tell you what your date will be like once in a committed relationship and whether or not he/she would be able to meet your needs to keep you happy, and you can know this before taking that first step. The test examines 4 key areas of relationship personality. Adaptability: An individual’s ability to make the adjustments needed from partners interested in making the relationship work. Interactivity: Among other needs, is the need to successfully resolve conflict or differences when they occur. XY Communication: A core dimension or need for various forms of communication that promotes the flow of the neurohormone, Oxytocin which research identifies as essential for bonding or closeness. XY Intimacy: This second core dimension consists of a variety of traits that differs between X and Y type personalities, but also produces Oxytocin and facilitates bonding as well. And this is only the first or relational level of matching. On the second level, we examine social traits which are important because they too produce Oxytocin and represent the social arena in which most relationships begin. PARENTING AND FAMILY RELATIONS – We’ve helped hundreds of families deal with various types of conflict, but have noticed that much of the parent-child conflict we’ve helped address, appeared to have been also affected by personality differences. Parents whose personalities showed an XY difference often had more conflict with children with opposing personalities. Building a bond varied per child, but was also easily facilitated or hindered by the personality of the parent compared to that of the child. Each child’s personality type interacts differently, even among siblings. Some children like space and are not the “let me tell you what happened at school today” types. While others are the complete opposite. We help parents to connect with each child by teaching them about their children’s personality differences. There were also some surprises as well from our research [and we welcome other researchers to partner with us in PIC (parent/child intervention research)]. Here are just a few: some parents seemed to show clear preference for children with opposite personalities. The preference for children with similar personalities often flipped in young adulthood. Interestingly, we also had to caution Y type parents on the verge of divorce, to set up arrangements that would allow them to stay in touch with their children after separation. X type children also seemed to suffer more openly from the lack of or a breakdown in communication from feuding parents. A child’s home environment determines whether or not they will be able to commit to or sustain a healthy relationship as adults. RELIGION – The divorce rate has been rising considerably among religious denominations over the past two decades. At JRI, we’ve purported that spirituality is not the sole reason for the rise, but personality differences among people of faith that is wreaking havoc on marriages. 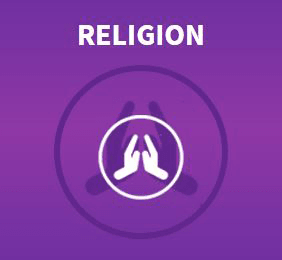 Religious belief does not replace the need for compatibility in a relationship nor personal adjustment and growth, once that relationship or marriage is embarked upon. Our work with churches and religious organizations involves sharing the latest science behind relationships and marriage. Our workshops and presentations have been sought from a variety of denominations, including the Catholic Diocese as well as a vast number of Protestant churches. We’ve begun to train clergy and ministry leaders because of the sheer number of organizations seeking XY Theory applications to meet the growing needs of their laity.